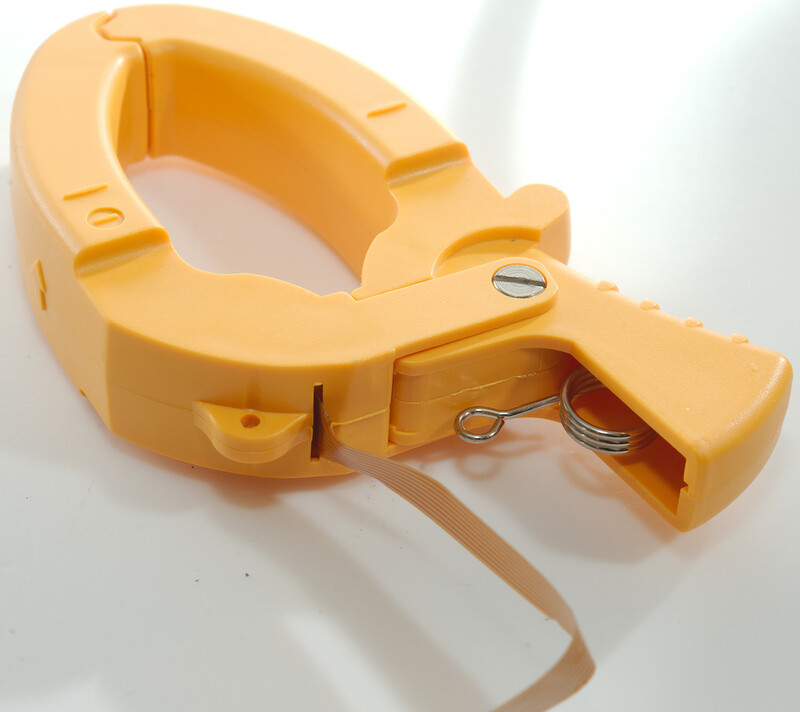 This is a AC/DC clamp meter. 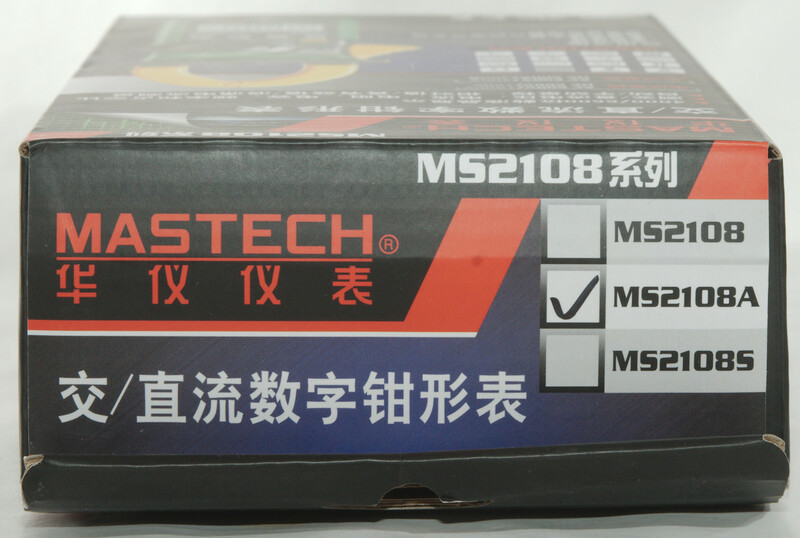 I got the meter in a cardboard box with specifications for the 3 meters in the MS2108 series. Inside the box was a pouch with everything in it. 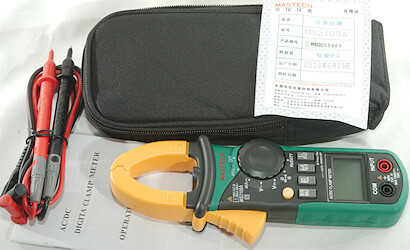 It included the DMM, a pair of probes, the bag and a instruction sheet. Probes are branded with Mastech and has removeable tip covers. The CAT rating is the usual CAT II without covers and III & IV with covers. 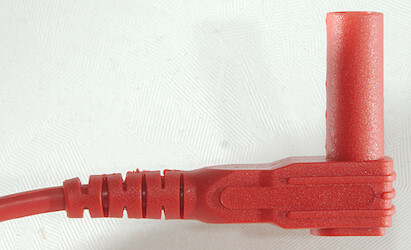 The plug is fully shrouded and standard probe plug size. 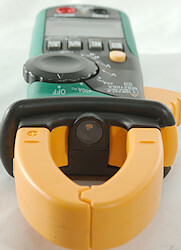 The meter is a clamp meter with the terminals for probes on the front. There is a led in the clamp, it will turn on together with the backlight, but only when meter is in current ranges. The above picture shows all the segments on the display. 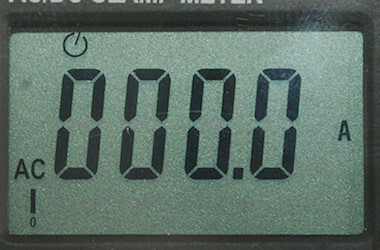 Typical display during usage, it will show the main number and what measurement is selected, together with the bargraph. Sel: Select DC/AC in current ranges and ohm/diode/continuity/capacitance in ohm range. Min/max: Capture minimum and maximum when active, it will change between max/min, hold down to disable. 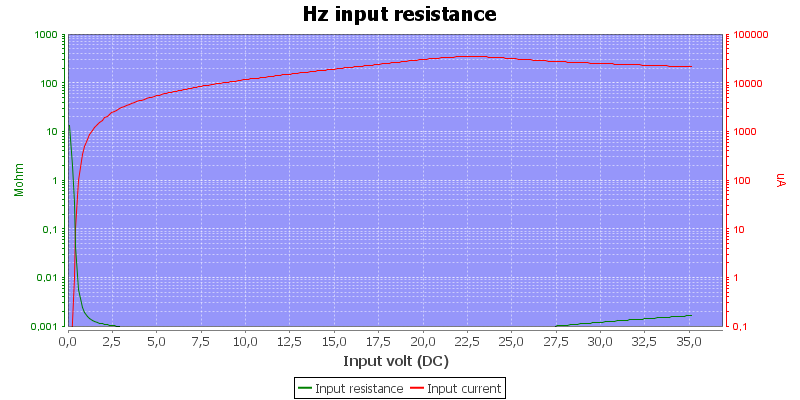 Hz/%: Show frequency and duty-cycle in AC modes. 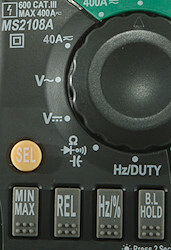 This is also used in Hz mode to select duty-cycle. 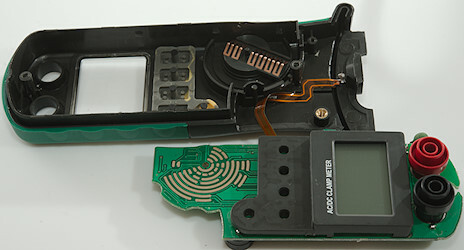 B.L Hold: Freezes the display, hold down to turn on backlight and flashlight in clamp (On in current modes). MIN/MAX and REL will disable auto range while active. 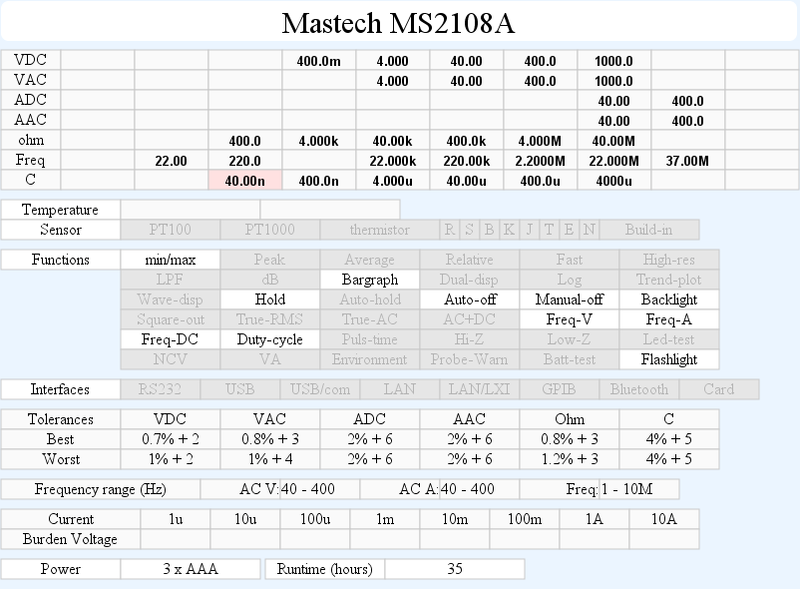 VAC: Voltage AC, frequency and duty cycle. Hz/Duty: Logical frequency and duty cycle. The clamp for current measurement. Voltage, frequency and ohm input terminals. Frequency input need the curve to reach within +/-0.5V of zero. Frequency in ACV requires a zero crossing. Duty cycle works from 5% to 95% at 100kHz with 2Vpp, precision is within 3.0. 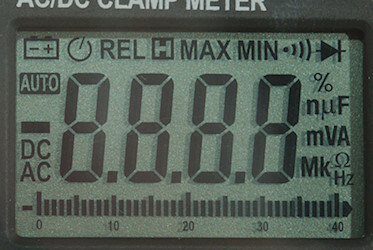 Duty cycle works from 2% to 95% at 10kHz with 1Vpp, precision is within 1.0. Max/min needs about 200ms to capture a voltage, it needs multiple pulses before it will show the correct value. 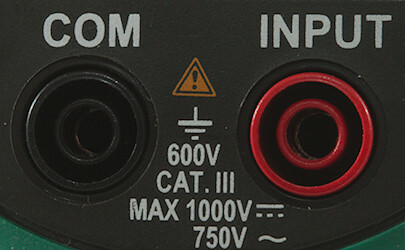 Input impedance is 10-11Mohm on DC and AC. mV DC is fairly high input impedance. Logical frequency input is down to 650ohm input impedance. Rated overload protection is 1000VDC 750VAC in voltage ranges. Rated overload protection is 250VDC/VAC in logical frequency ranges. 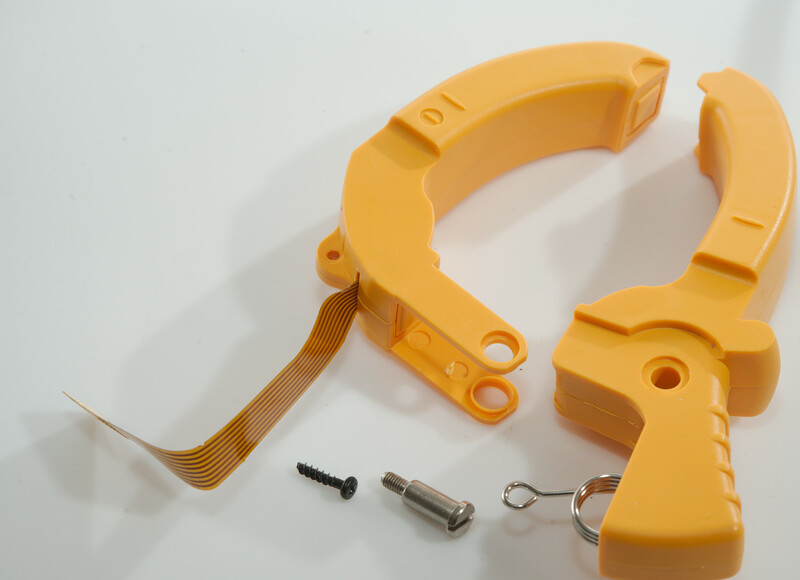 Clamp can handle ø22mm cables. Continuity is moderate speed (About 140ms). 4000uF takes about 30 seconds to measure. 10uF takes about 2.7 seconds to measure. 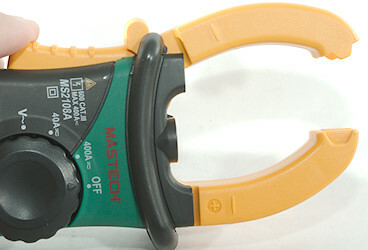 Current consumption is 16mA with clamp active and 3.5mA or less in other ranges (50mA with clamp, backlight and flashlight). Meter works down to 1.8V where display starts to fade, battery symbol show at 3.6V. Voltage DC readings are correct down to 2V where the display locks with last reading. Clamp readings are correct down to 3.2V where the starts to drop very significantly. The meter need a couple of updates before the reading is correct. 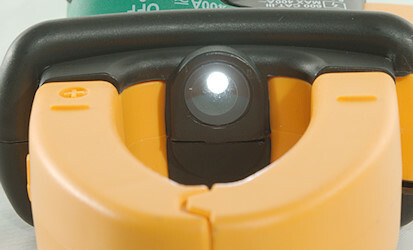 There is a flashlight in the clamp, it will turn on/off together with backlight, but only in current mode. Standard probes fits perfectly into sockets on meter. Weight is 278g without accessories, but with batteries. Size is 208 x 77 x 35mm. Probe resistance 22mOhm for one. Probe wire is 81cm long. 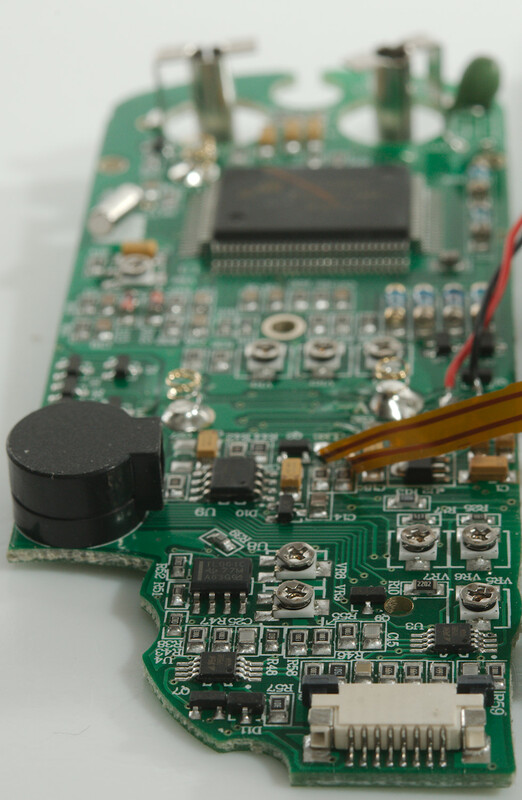 A look at the capacitance measurement waveform. 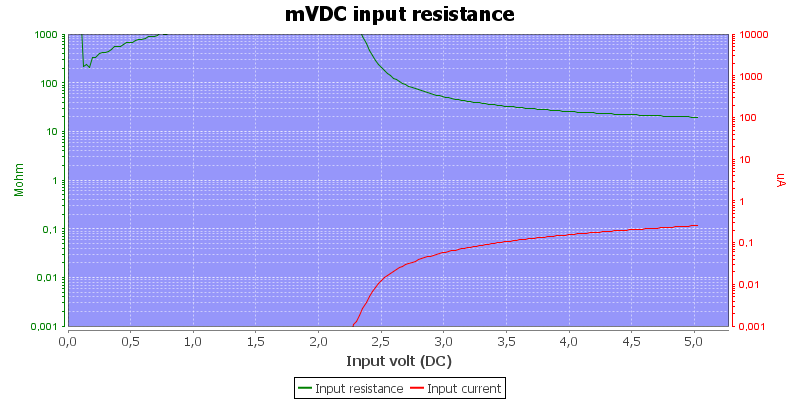 mV DC input resistance, range is locked with REL. May show zero VAC when a large DC voltage is present together with the AC. 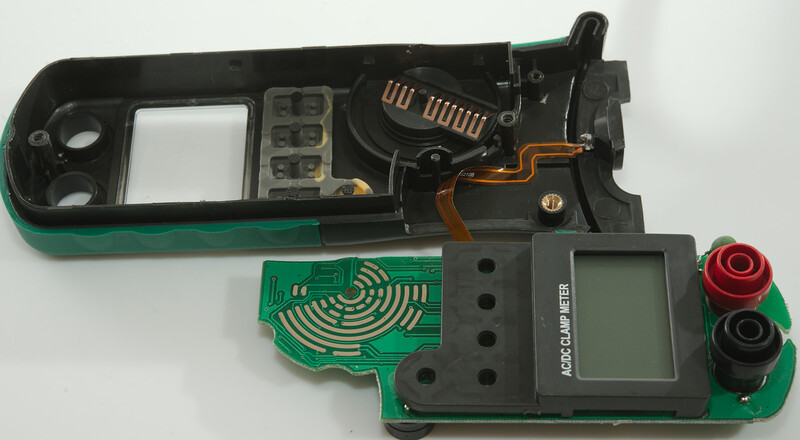 Removing two screws and I could open the meter. 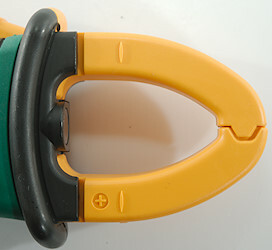 Notice the spring to keep the clamp closed. 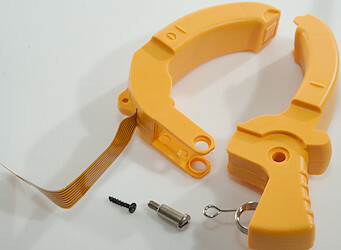 Removing one screw and loosing the hinge screw in the clamp and it could be removed. There is a flat flex cable from the sensors inside the clamp. 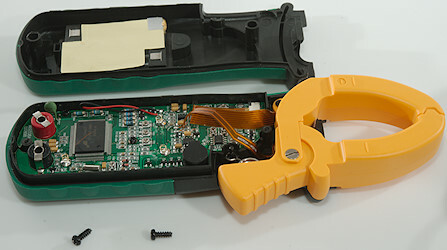 The electronic is secured with clips and could be removed, there is a flat flex cable to the flashlight led, it is soldered in both ends and also partly glued to the enclosure. Removing 3 screws and the display could be removed. 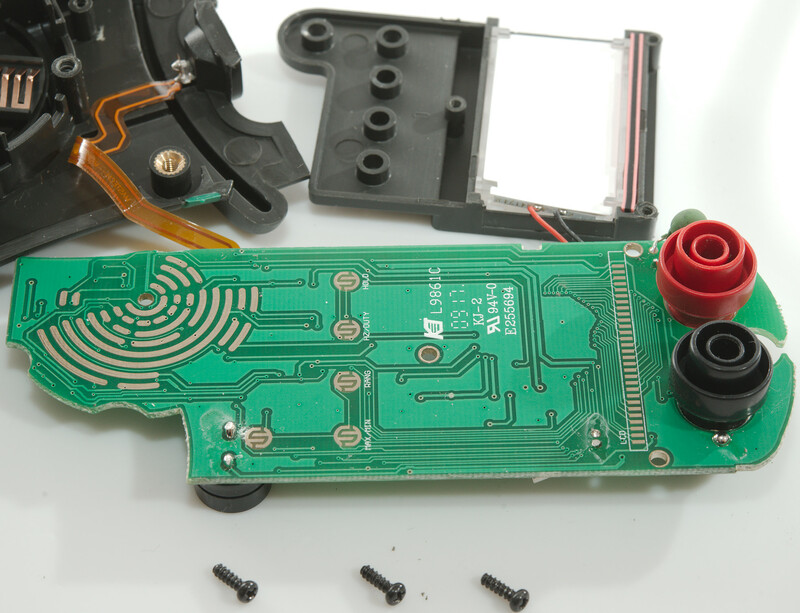 This side has the pads for the rotary switch, the buttons and the lcd. The REL pad is marked RANG (Sounds more like range). It also has one of the input PTC's. Voltage input has two paths each with a PTC in series. Voltage input uses a 10Mohm input path (R32 & R24: 2x5Mohm), in ohm a transistor pair (Q5 & Q6) adds protection, there is also the usual small SMD resistor (R13: 900kOhm). In Hz mode a diode is used for protection (D10). The meter part has a couple of trimpots (VR1..VR4). 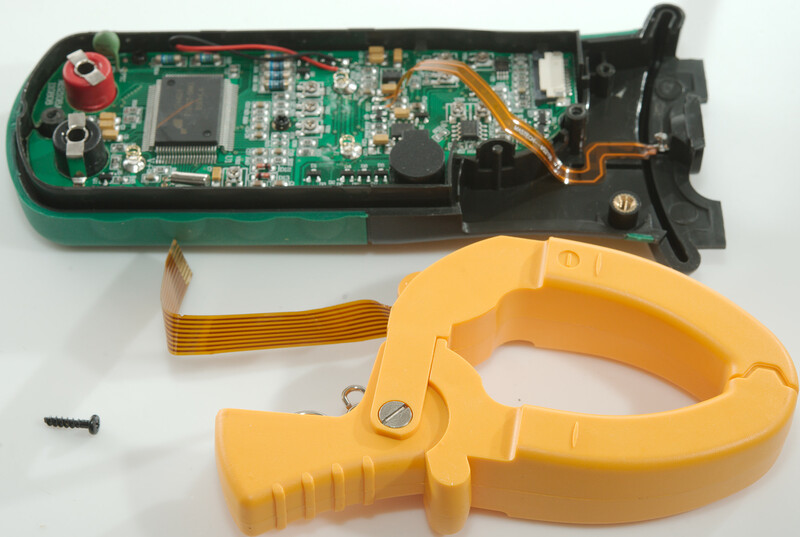 The input circuit from the clamp uses OpAmps (U3 & U4: TP5592 zero drift, U8: TL061C), there is a lot of trimpots (VR5..VR9) for adjustment of the clamp. 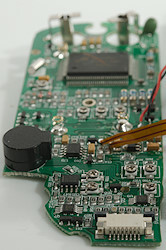 To supply the OpAmps with a negative voltage there is a capacity voltage booster (U9: GC7660AP). 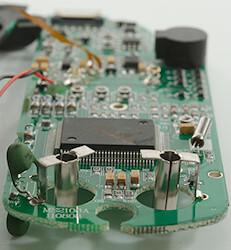 The internal supply is stabilized by a voltage regulator (U2: Marked N35/OPB7O). The large collection of diodes (D1..D9) is probably used for matching the range switch and buttons to the multimeter IC (FS9922-DMM3). 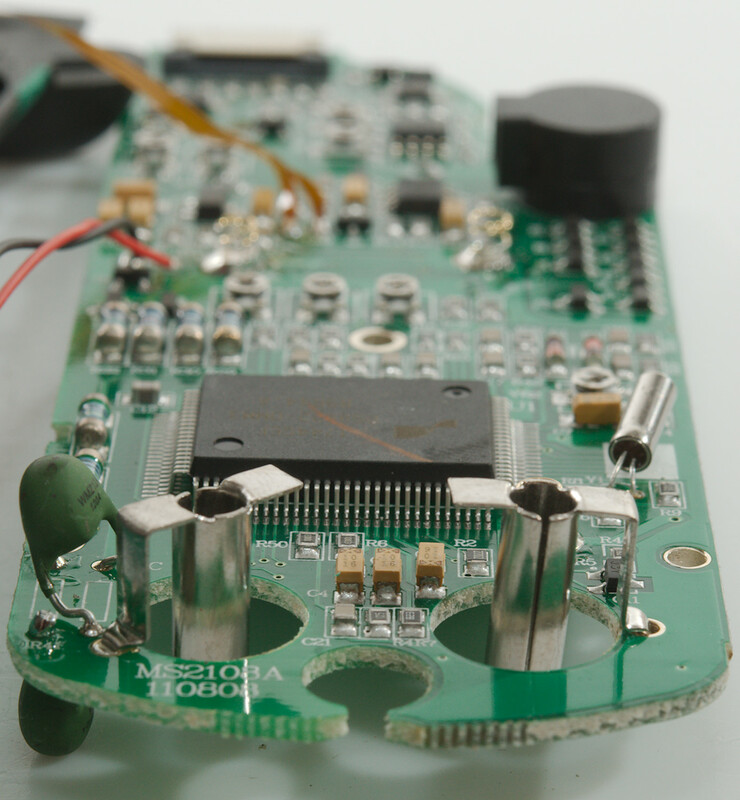 The input protection will not handle high voltage transients without damaging the meter. 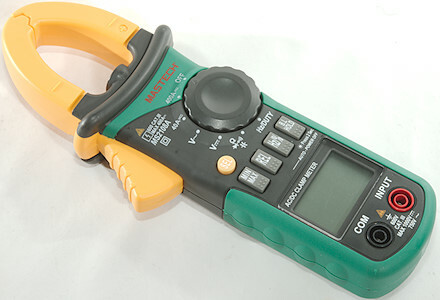 For people needing to measure high AC or DC current this meter looks acceptable and with min/max function it is also possible to capture the highest values. 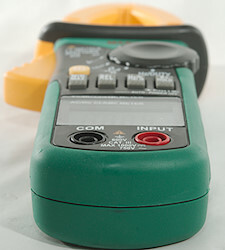 The multimeter functions are fairly average with a good bargraph. I do not like the very low input impedance on logical frequency (650ohm), Most meters have low input impedance, but more like 2kOhm.